Voice Teacher Jobs Jacksonville FL - Wind of Change Academy - Choose How Many Days to Work! 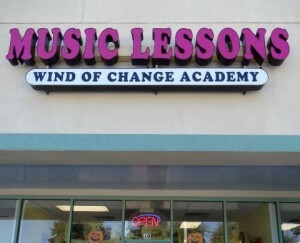 Wind of Change Academy is offering Voice Teacher Jobs Jacksonville FL area at this time. We are looking for a professional to teach private lessons at our locations at Beach Blvd, 32250 or at Baymeadows Rd, 32256. This position starts as a part time, but has potential to turn into full time work with great opportunity to grow your schedule up to 35-40 hours a week. We offer competitive compensation, great work environment, stable students schedule. Our Voice Teacher Job position is great for candidates who would like to have teaching as their long time career and is looking for a music school that provides full schedule as well as part time job. Our teachers can decide how many days per week they like to work. Ability to teach variety of instruments is a plus. Attention! We work with children – so clean background is a must. Background check will be performed on all candidates. Please, reply with Resume or let us know if you have any further questions: (904) 477 1552. If you are interested to work with our company, but teach other instruments, don’t hesitate to check in with us to see what other positions we offer at the moment.